But if someone from the last eight makes it in I'll be pleasantly surprised. Low expectations, high satisfaction. EDIT: You know what if backer characters were part of the total i'm sure Ravi (or someone else) would have said so. 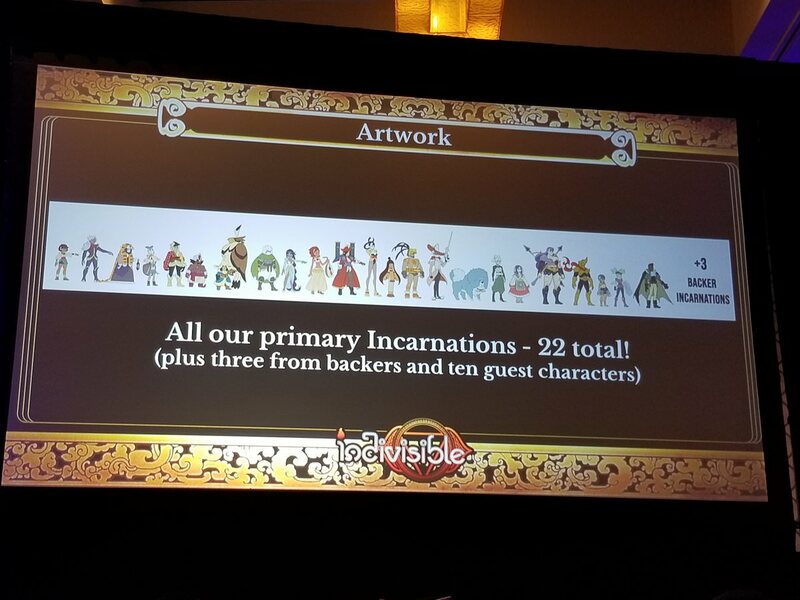 Backer incarnations and guest characters weren't included in that number in the past, so optimism would make sense here. Well, there hasn't been a whole lot to talk about lately. I made a random observation the other day that seemed kinda relevant for this topic though. Remember Mariel's old campaign sketch? I realized that most of the characters here have either been confirmed playable, or now have a possible spiritual representation of some kind (Antoine<->Latigo). Obviously this isn't a clear indication of anything, especially with some very popular characters not being present, but maybe it could have been a sign that these were considered priority characters among the team? Just trying to throw a little bit of hope out there for the Toko/Tatanka/George fans I guess. There are still three open spots that might have their names on 'em. At worst, between the remaining slots and/or the backer characters, I think it's very possible that those three might at least get the "Latigo treatment" in terms of gameplay or design elements somewhere. So I guess Hunoch and Xiboch are playable? At least tentatively? The animation they posted a few days ago is definitely a "switch directions" animation, and I don't know who would have that other than playable characters and enemies. How would they work anyways? So now, who do we got. Plus Hunoch/Xiboch also got some streams plus this by Alex so they're basically confirmed. KaboomKid and Salty Umbrella like this. Yup, looks like this is the final cast! I was expecting there might be some incarnations that would go unrevealed and be a surprise in the final game, perhaps if they were an enemy that isn't gained as an incarnation until later on etc., though I guess those types have already been revealed (Dhar, Ren(? )), and 25 seems like a good round cut off point. Hoping we'll get some news on the backer incarnations soon- we've already seen backer enemies / bosses worked on. 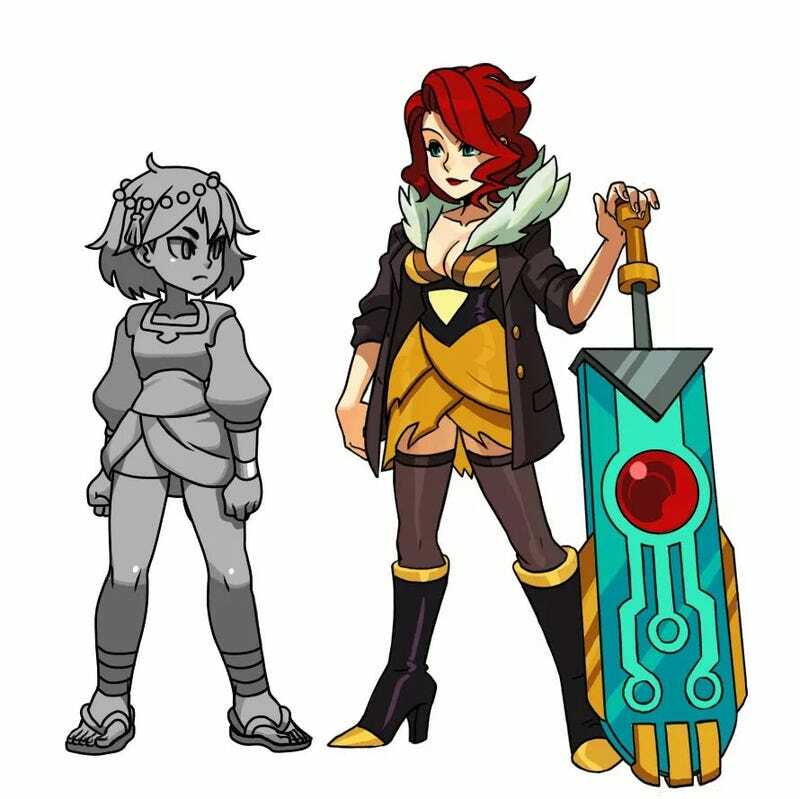 I'm hoping the characters aren't too similar to any we've already gotten, but Lab Zero has done a great job with the backer enemies so far and they look pretty seamless in terms of fitting the world. 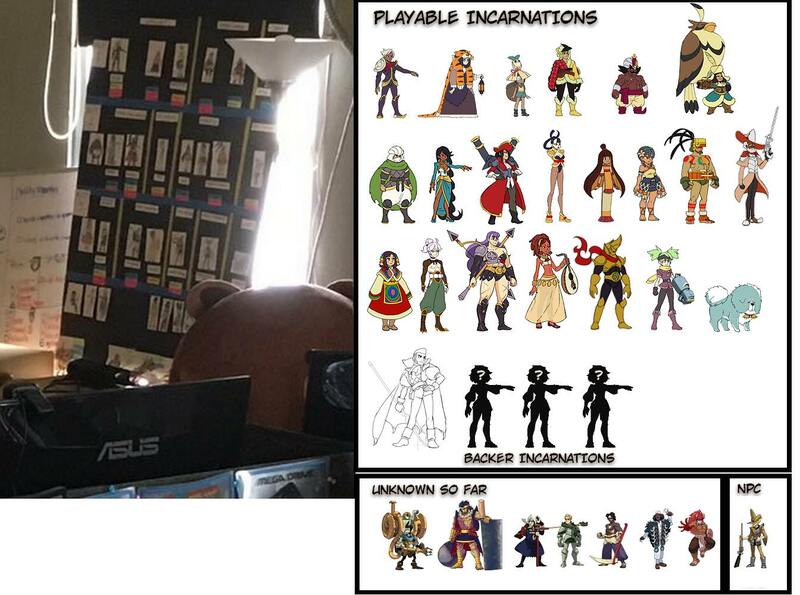 Just as a side note: does anyone know if backer incarnations are getting voiced / having any role in the story? (whether it be side quest to pick them up, etc. ?- I'm sure they wont be integral pieces to the plot, but was just wondering). I swear this was supposed to be the case initially according to someone, probably @Ravidrath but like with a lot of things; pre-production and production led to some changes. Or I'm misremembering, entirely possible. I know the plan is to see the game complete, then the post-release content such as guest characters, but I wonder if the game is particularly successful if we could possibly see any form of content expansion further down the road (characters we never saw/didn't make the cut, that stretch dungeon, a new zone, etc.). Would be neat, especially so since it would mean the game did well enough to justify it. Not that I think the game is going to be at all lacking whether or not we got our favorite in, they've made it pretty clear they're not willing to cut anything they feel is necessary for the game to be complete, so anything more would just be a plus. Or you know, a Skullgirls 2 would be cool, but that's an entirely different discussion and a long way off regardless. I honestly love how cohesive the revealed roster is. Everyone is so unique yet they feel like they belong in the same world. I trust L0 to do the same with the backer incarnations. Ah, but Antoine and George were featured in it though, so we had a clue! It just turns out that it was Antoine himself who was still in line to get "Latigo'd." Looking at it again, Tatanka's role as a male shaman is the only one in that image that isn't represented by a playable character yet. Both Tatanka and Narssus dealt with forms of dark magic/necromancy, which had a lot of potential, so I really wouldn't be surprised if one of the Backer characters ends up executing some of those ideas in their place. However, it also seems like Tatanka's dichotomy with his foreign spirit may now have shifted to the relationship between Hunoch and Xiboch. Who knows, depending on the origin and nature of their powers, Tatanka might even be deeply involved in their storyline. I'm just pretty surprised that Kogi appears to have no chance of being playable right now. Figured that since he was received pretty well during his reveal he'd be a shoe-in. Looking at it again, Tatanka's role as a male shaman is the only one in that image that isn't represented by a playable character yet. Putting that into account, I'd imagine there'd be a bit of awkwardness if she ended up becoming "Latino'd" as well (as KaboomKid so fittingly put it ;) ) I don't know what might end up happening on that side of things with her, and for all we know it won't necessarily be a bad thing, but I do admit it's fun to have something new to speculate about. However, it also seems like Tatanka's dichotomy with his foreign spirit may now have shifted to the relationship between Hunoch and Xiboch. That's actually exactly what I was thinking, especially after seeing the Twitch with their characters. Apart from the obvious Star Platinum reference (XD) It was very reminiscent of the Tatanka storyline, apart from the fact that they're brothers in this version of course. While this is true, we can't forget that Toko, as far as we know, was also included in that image. And as far as we know she hasn't been represented by a playable character either. Toko's definitely unique, but some folks have already observed how there now seems to be a lot of overlap between her character and Qadira's, even apart from visuals. We already saw a couple lines in the VO recording clips where Qadira expresses her devotion to "The Light," and how she uses her faith to encourage the team. Plus, if all of her hinted upgrades appear in the game, she may also adopt the classic samurai trope of "refusing to use her blade until it's necessary." That's not to say Toko wouldn't still have a lot to contribute to the game if she appeared, but it looks like her general role as the solemn, strong-willed and spiritually-minded warrior woman might have been fairly rolled into Qadira. Thematically, I don't really see that kind of close parallel with Tatanka's role yet, since other than Lanshi, most of the other males are focused on melee combat of some kind. There's a big chance that one of the backer characters has something in common with Kogi thematically or visually, as stated by someone in the thread before. I was sure that he was a shoe-in as well. He was like, eighth on that popularity list Salty Umbrella posted a while back (Though the list is in no way accurate, Kogi is the only top ten character who didn't make it in). Made a chart of what we've got so far! Tried to have everyone fit the place they had on the picture but then Antoine came so I kust put him on last and then the Backer Incarnations next. 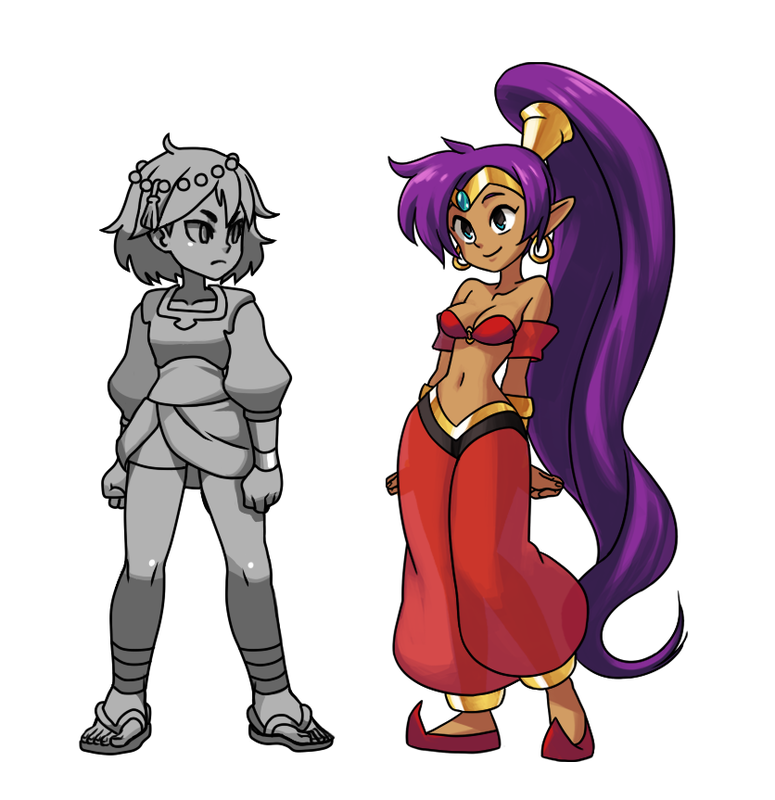 I also didn't include the crossover characters like Shantae since they won't be part of the main roster. 4. George: Fate unknown, elements of him had been added to Antoine, which doesn't mean the character doesn't exist anymore per se. strangecity and Blessings like this. where did you find character art for leilani, kushi and altun, lanshi, sangmu, tenoch and thorani? I've been trying to put together a concepts to finals sheet myself and i only have rough art for them. That is 35 characters in total, a great roster! Here's everyone that'd been confirmed before. If we get a 10th one, who do you think will make it? I personnally hope for Miriam from Bloodstained, or the Knight from Hollow Knight. I want Rider from Furi. Miriam from Bloodstained? They do have the same publisher. I want Jorji Costava from Papers Please. Thanks to @Salty Umbrella for posting the final(bar backer characters and guests) lineup! They're all colored and nice looking. Some heights get a little foggy depending on footwear, headgear, and so on but for the most part this is pretty much it. 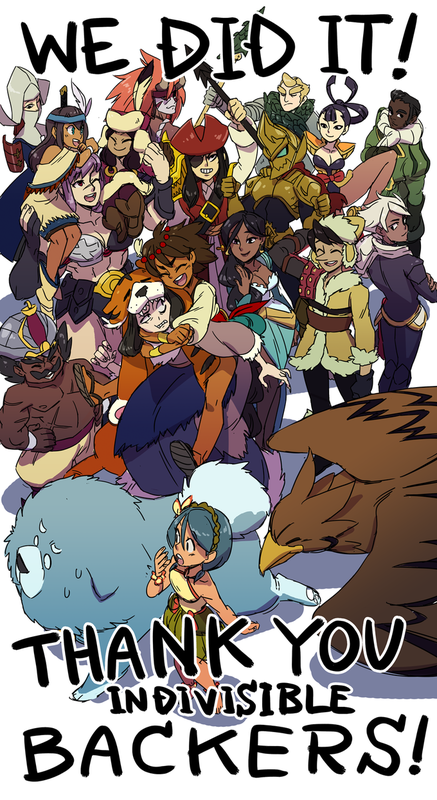 - The bird is taller than Ajna. - Kampan seemed like she'd end up being one of the taller girls, but she's surprisingly pretty short. - Phoebe is unsurprisingly the tallest, but Yan is only a few inches shorter it looks like. Her legs alone are taller than a third of the cast. Love how the two tallest characters are women, big ladies ftw lol. Actually a lot of the characters look like they'd be pretty tall irl. I still can't get over the fact that half of the cast is shorter than Yan's legs. I like seeing that a lot of the characters I liked are in.